When Vero Beach plastic surgeon John M. Sarbak, MD wanted to revamp the website for his practice, he called upon his trusted team at Rosemont Media to develop a full website renovation plan. The outcome of this collaboration is a clean, simple design with an aquatic blue-green color palette and beautiful photos featuring Dr. Sarbak’s actual patients. The homepage buttons, intuitive navigation, and simplified page layouts make the site easy use. Visitors can quickly locate the information they are looking for, catch up on the latest blogs, view digital before-and-after photos, and contact the practice to request a consultation. The responsive design allows the website to adjust to various screen sizes so that visitors on mobile devices and laptops can all experience full site functionality. The website also incorporates medical SEO and custom content to help it perform optimally on search engines and provide the practice-specific information potential patients are looking for. 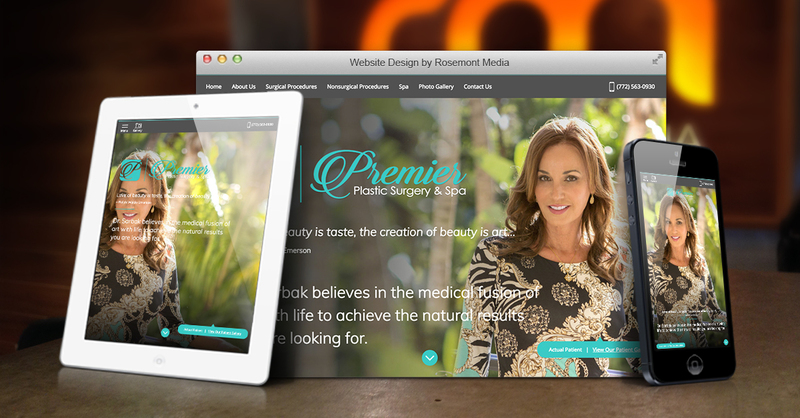 To discover the state-of-the-art website design and marketing work that Rosemont Media is known for, we invite you to visit www.premierplasticsurgeryfl.com. If you’d like to find out how our team can help optimize your online presence, please contact Rosemont Media today.